The Living Years has been an important song for me for many years, but this is the version that means the most. Recording it with this incredibly special group of people for such a worthwhile cause has created some kind of magic. It’s a powerful and inspiring track. James Hawkins Music brought together a specially created choir of 300 patients, families, staff and volunteers of all ages from 18 hospices across London. They recorded a new version of The Living Years with Paul Carrack, the song’s original singer. 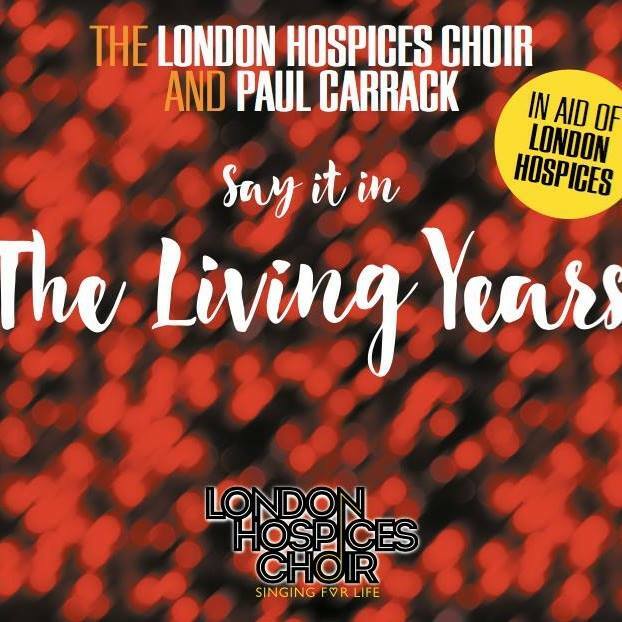 The song was released at Christmas 2016 to raise awareness and vital funds for the hospices, and stayed at the top of the Official Physical Sales Chart for two weeks. BA Robertson, the writer of The Living Years, highly commended the new version saying that the vocal was “better than the original”. Alongside the creation of the choir and producing the single, James Hawkins Music gave the London Hospices a wonderful experience for their awesome staff, volunteers and friends. All the participants were recorded at Abbey Road Studios and many participated in the video filming at the Royal Trinity Hospice grounds. If you like what we did with the London Hospices and Paul Carrack, or if you’re interested in utilising music for your cause, please get in touch. And you’re welcome to post your comments below too!